Established in 1989 by Mark Billington, we set out to create a leading edge consultancy that drew upon our experience in the Design, Architecture and Furniture Supply sectors to provide clients with a friendly no nonsense approach. 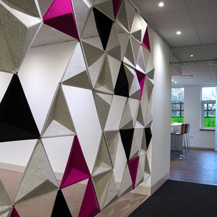 Design At Work are committed to producing innovative commercial design solutions. Each one of our designs is as unique as our clients and the environments they work in. We sympathetically combine your work space requirements with your organisation’s needs, to create space that is both functional and stylish. Design At Work are able to offer independent and impartial advice to ensure you are achieving best value for all elements within a scheme. Our designers listen, interpret, analyse, suggest and recommend to our clients while working in partnership with them. We liaise with architects, consultants and suppliers. We understand that cost efficiency is paramount and a well designed facility will not only make best use of expensive space, but will reduce overheads and be efficient to manage. 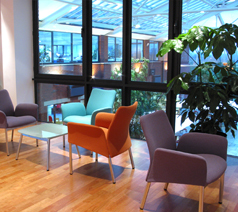 Increasingly well designed working environments are being recognised as crucial in the success of a organisation. The welfare of their most important asset, their staff, is well and truly on the agenda. Surveys identify that the working environment can be as important as salary for many individuals and is an increasingly important factor in attracting and retaining staff. 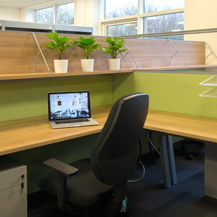 Recent research has also established a direct link between good working environments and higher productivity.